Redding Allergy & Asthma Specialists (Atlanta) - Book Appointment Online! If you book an appointment for an allergy evaluation, please do not take any antihistamines for one week prior to your appointment, to allow for skin testing. 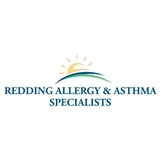 Welcome to Redding Allergy and Asthma Specialists, a medical practice founded by Alan R. Redding, M.D. and David R. Redding, M.D., both specialists in allergy, asthma, and immunology. Our mission is to improve your quality of life and prevent you from having allergic reactions. I had a wonderful experience at this practice! The receptionist, nurse, and doctor were all nothing but excellent. Wonderful attitudes and explained everything well during my allergy testing process. Cannot recommend enough! Fantastic!! Great office, great doctor, very knowledgeable and helpful! !